**UPDATE – 5/01/15** – Did some gamut corrections if you’d like to re-download! I also updated the terms to PU/S4H/S4O and those have been updated in the zip files as well. Hey all! Hope you had a wonderful Thanksgiving! This was our first without Mom, but we certainly felt her presence all around us. As always, thank you all for the wonderful comments about my kits. I would love to see anything you’ve done with them and/or let me know what is working, what’s not, etc. Well, it’s time for another Blog Train! The theme was, um, The Nutcracker, but I couldn’t find a nutcracker that I liked or was free lol. 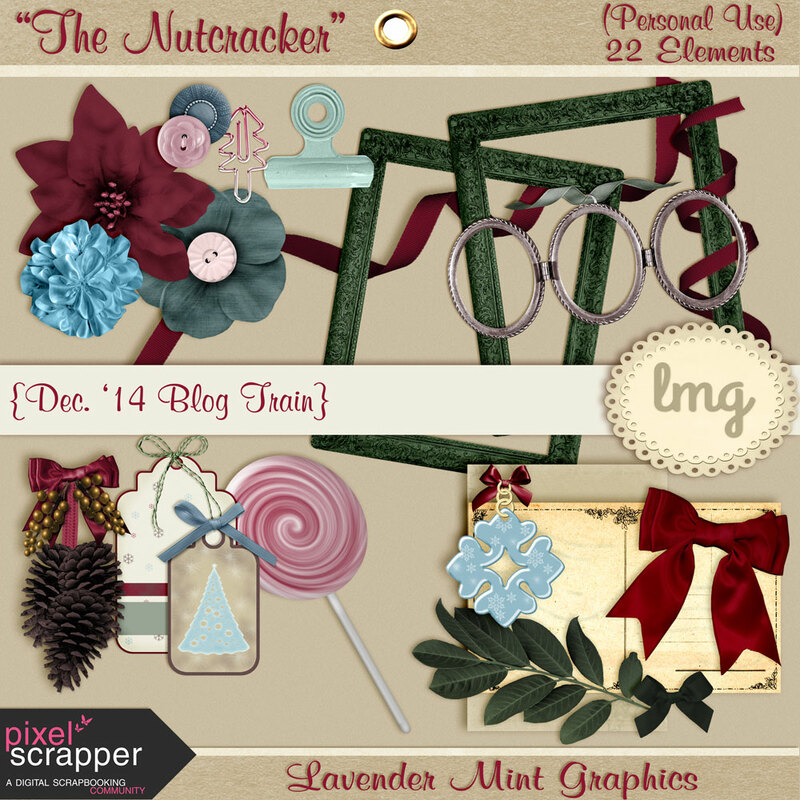 So, alas, my theme is nutcrackerless. 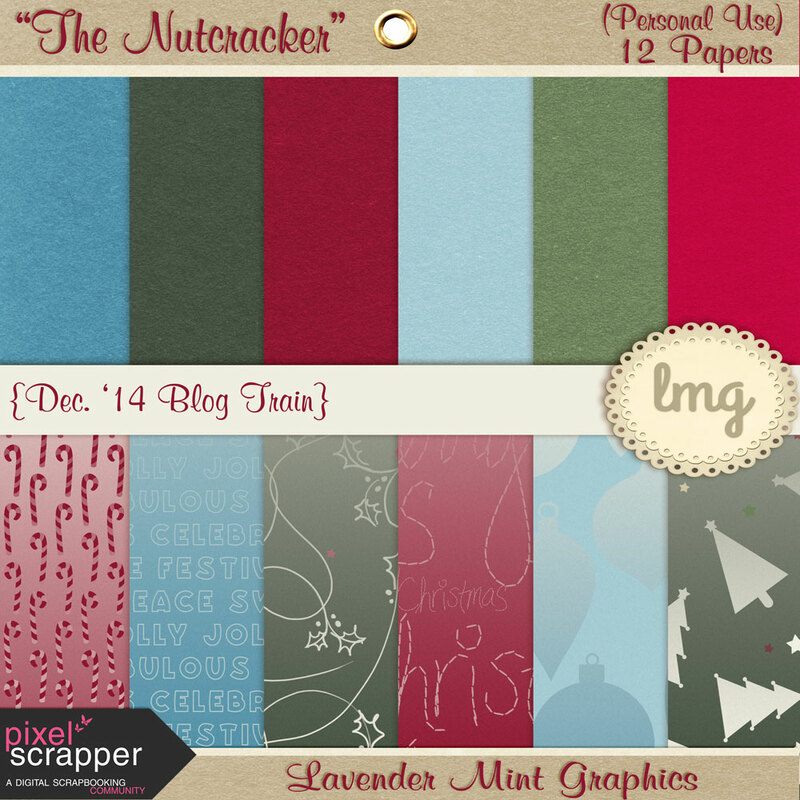 But, some of the other designers do have a nutcracker in theirs. You can see what the other designers have offered up for you here. Below are my contributions, hope you enjoy them! I separated the downloads for the elements and the papers after the kit preview. Thank you this is a great kit! Very pretty kit, thank you! Especially like your papers, frames, and the pine cone. I really love your kit, especially the papers. So elegant! Gorgeous colors!!! Gorgeous kit!!! Lovely papers!!! Love the flowers, frames, candy and pinecones!!! Thank you so much for sharing!!! Thank you so much, Mary, glad you like it! Thank you so much. Merry Christmas! Thank you for the lovely kit! May you have a blessed New Year.